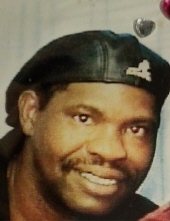 George Thomas Whitehead affectionately known by his friends as “Smooth”, son of Welford Wilson and Juanita Whitehead was born on April 17, 1959 and departed this life on Sunday, February 3, 2019. George has been married to the love of his life Patty for thirteen years. Together they have one daughter, Kya whom he cherished very much. George was a wonderful husband and father. He loved his family, especially his mother and mother-in-law. He worked at the Museum of Fine Arts for six years. George enjoyed fishing and being outside in the yard. He was a huge Cowboy’s fan. He enjoyed late night talks and early morning coffee with his wife Patty. George loved going to Virginia Beach and being on the water. George’s life was short, but he had an impact on many people. He was a jokester and kept everyone laughing. He suffered for a long time but is now resting in the arms of the Lord. He was preceded in death by his father, Welford Wilson and sister, Janet Whitehead, but leaves to cherish his memory: his devoted and loving wife, Patricia Whitehead and daughter, Kya Whitehead of Chester, VA; his dear mother, Juanita Whitehead of Richmond, VA; his mother-in-law, Mary S. Jones of Burkeville, VA; brothers, Welford Wilson Jr. of Fredericksburg, VA and Sherwood Hartso of Richmond, VA; three aunts, Mary Whitehead of Richmond, VA, Ida Brown (Ernest) of Chester, VA and Brenda Cotman of Richmond, VA; two uncles, George Whitehead of Richmond, VA and Calup Wilson of Chesterfield, VA; sister-in-law, Faith Clark (Leon) of Raleigh, NC; brothers-in-law, Nathan Tyree Jones (Vanessa) of Richmond, VA, Willie A. Jones Jr. (Yvette) of Chester, VA, Darryl Jones of Kenbridge, VA, Allan Jones of Crewe, VA and Timothy Jones of Fredericksburg, VA. He also leaves to cherish his memory special friends, Alfreddia Gee, Carolyn Short, Ricky Connors and Tim Johnson, all of Richmond, VA; and a host of nieces, nephews, and other close friends. Funeral Services Saturday, February 9, 2019 at 12:00 pm at Fourth Mt. Zion Baptist Church, Crewe. Interment Bland Jackson Green Cemetery, Crewe. To plant a tree in memory of George Thomas Whitehead, please visit our Tribute Store. "Email Address" would like to share the life celebration of George Thomas Whitehead. Click on the "link" to go to share a favorite memory or leave a condolence message for the family.